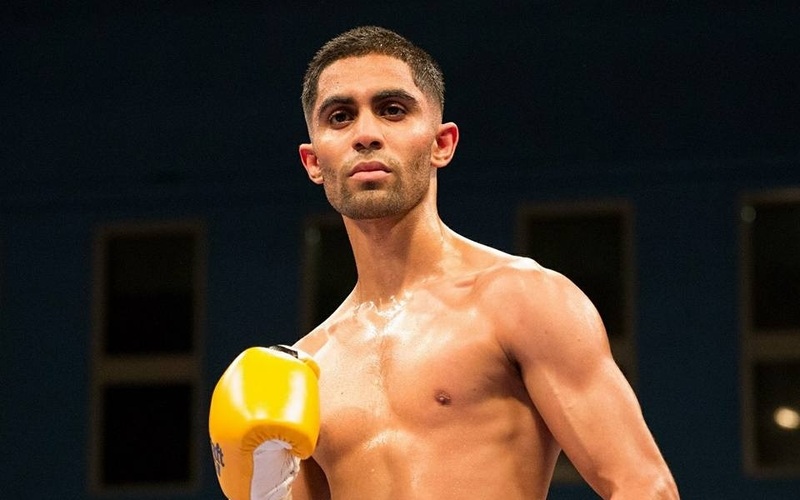 In a clash of southpaws, United Kingdom´s Prince Patel will square off with Ronald Ramos from Colombia for the vacant World Boxing Federation (WBF) World Bantamweight title on January 13 in one of the featured bouts of a show in Budapest, Hungary. 26-year-old Patel, 17-0-1 (12), who currently holds the WBO European title, has fought in Hungary nine times previously, so he will be returning to old stomping grounds for what will be the biggest fight of his career to date. Coming off Budapest-victories over Julias Kisarawe (29-5-1) and John Chuwa (16-1), the brash and colourful Patel will face his most experienced and accomplished foe to date in Ramos, a former WBO world title-challenger who brings a 41-17-4 (20) record. Patel has by far been the more active of the two in recent years, amassing no less than eleven bouts in 2018, but Ramos holds a clear advantage in experience, making this an interesting encounter of a young contender on his way up, against a veteran going for glory before its too late. The winner will join a list of previous World Boxing Federation (WBF) World Bantamweight Champions that includes the likes of Joseph Agbeko, Steve Molitor, Narongrit Pirang (AKA Fahsan 3K Battery), and Prayat Sawaingam.